24-hour forecast: Mostly sunny skies today and partly cloudy skies tonight. Mostly sunny skies tomorrow. Only isolated showers or isolated thunderstorms are expected. Today: Winds: E-SE 5-15 kt. Seas: Light chop - choppy. 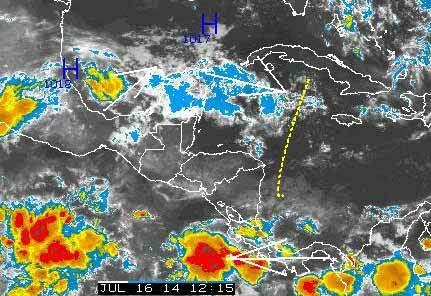 Waves: 2-4 ft. Only isolated showers or isolated thunderstorms. Tomorrow: Winds: E-SE 10-20 kt. Seas: Choppy-moderate. Waves: 3-5 ft. Mainly fair at first with the possibility of a few late evening showers or a thunderstorm. Marine Outlook: (Thursday night): Winds: E-SE 10-20 kt with higher gusts. Seas: Moderate... Locally rough. Waves: 4-7 ft. A few showers and isolated thunderstorms. General Outlook: Mainly fair weather will continue on Thursday and then a few showers and isolated thunderstorms will affect mainly southern coastal areas Thursday night. 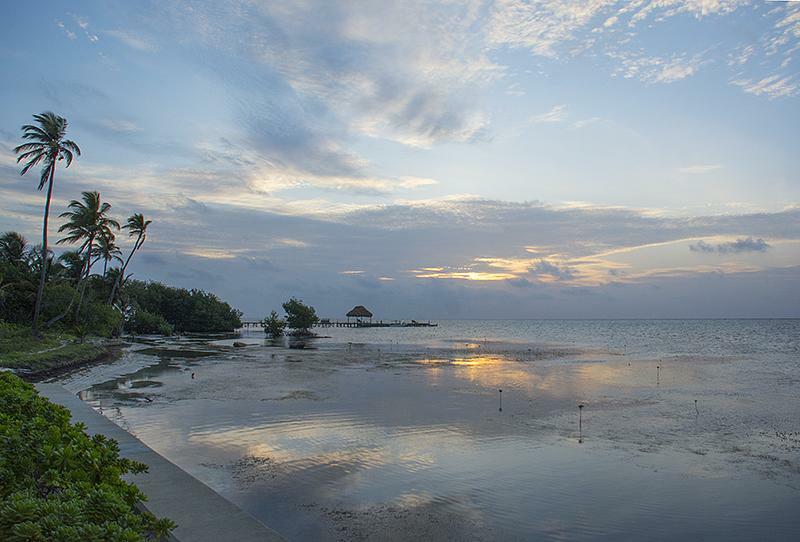 On Ambergris Caye this morning it's calm and clear with an expected high of 89. No rain on the Radar this morning.. . ... The Satellite picture is showing clear air over Belize, they are showing another tropical front coming in perhaps tomorrow, but I am not seeing any weather with that yet.